New Delhi: Delhi University’s well-known Miranda House officially frowned upon the visiting correspondence course students taking selfies and brushing their hair in college corridors, and has invited notice from the Delhi Commission for Women for “discriminatory practices”. Apparently, there is no bar on such girlie activities on the college’s regular students, and only students pursuing correspondence course have been admonished for “wasting” time by “modelling” in the corridors, “brushing their hair” and “taking selfies”. The students of School of Open Learning, who attend Sunday classes at the Miranda House in north campus, found the restrictive rules made by the administration of Miranda House “class-biased” and “misogynistic” and approached the DCW on January 24 seeking its intervention. 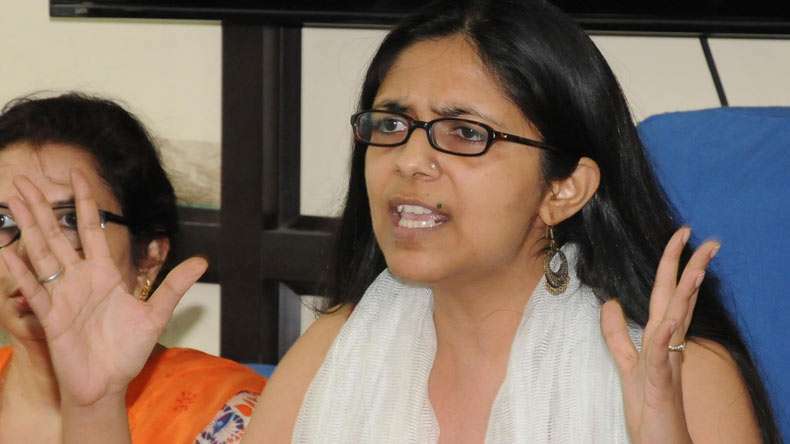 Delhi Commission for Women (DCW) chief Swati Maliwal on Friday issued notice to the Principal of Miranda House over such “discriminatory practices” adopted by the college administration. Maliwal asked the principal to submit a point-wise report in a week over the matter. “The commission has received a representation from students’ organisation Krantikari Yuva Sangathan alleging discriminatory practices adopted by the administration of the Miranda House college,” Maliwal said in the notice. “Please provide the commission a point-wise reply on the representation within seven days of receipt of this notice, failing which appropriate action shall be initiated as per law,” the DCW chief added. In their complaint, the students told the DCW that the college earlier put up a notice admonishing the SOL women students for “wasting” time by “modelling” in the corridors, “brushing their hair” and “taking selfies”. “The notice said that the SOL women students, who are found indulging in such practices, would be thrown out of the college,” the students said in their complaint to Maliwal.